The last few months have allowed us to see the astonishing transformation of Bruce Jenner into Caitlyn in magazines, online and of course on TV. 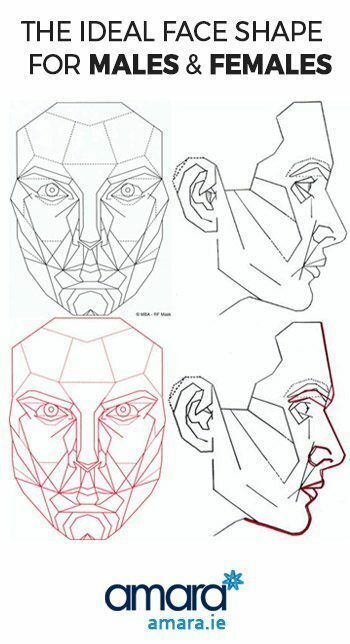 Look at what is considered the Male and Female Ideal Face Shape. On the top you can see the female ideal face shape and on the bottom its the male. If you look at Caitlyn compared to Bruce you can see that the side of her face no longer goes straight down from temple to jaw but has a full cheekbone and actually her jaw now goes inwards, giving a feminine heart shape rather than the masculine square jaw. 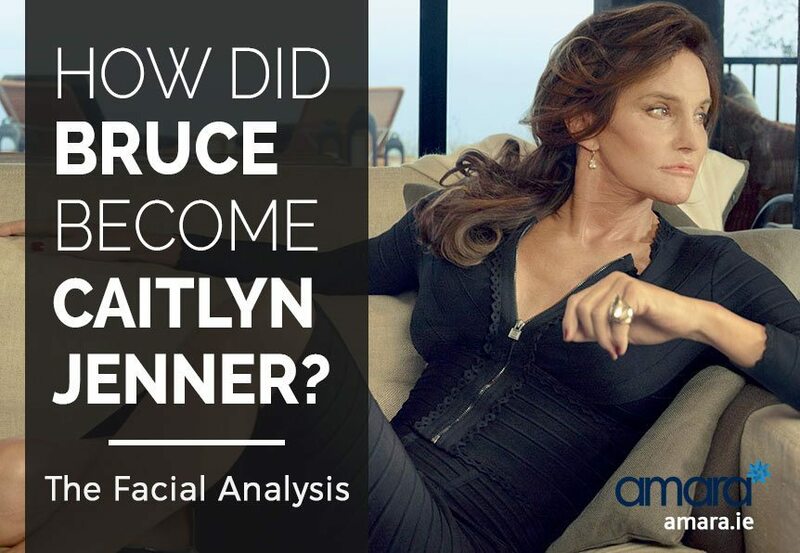 How Did Bruce Become Caitlyn? Well to be honest, I don’t know, but I can make a good guess. To widen her cheeks most likely Dermal Filler was used, however it could also have been cheek implants. In the past few years implants have fallen a little out of favour and dermal fillers have become the preferred option. Adding Filler right in front of her ear, on the side of the cheekbone (zygomatic arch) would give this pleasing and very feminine curve. To accentuate the full cheek it is necessary to narrow the jaw. Again surgery can be done to shave and thin the jawbone, but equally botox can also be used to weaken the muscle that makes up a lot of the bulk at the side of the jaw. Clench your teeth tight and you can feel your masseter muscle at the side of the jaw, by treating this muscle with a little botox it can be slimmed down to give a teardrop jaw effect. Caitlyn does seem to have higher and more feminine eyes compared to Bruce. Again a surgical lift can be performed to achieve this, but a simpler option is botox and filler brow lift. Botox above the nasal bone and at the side of the eyes can cause a nice lift of the eyebrows. As well as feminizing this is also quite rejuvenating and this looks to me where some of Caitlyn’s years have been shaved off! There is also a lot that can be done with eyebrow tattooing, eyebrow shaping and even eyebrow hair transplantation to give a higher and more feminine arch at the outer part of the eye and I’m sure Caitlyn has taken advantage of this little trick. Apart from the obvious on her body what do you think Caitlyn has had done on her face?